A global powerhouse has emerged in the past decade: it’s called ASEAN, or the Association of Southeast Asian Nations. With more than 600 million people, the combined population of ASEAN’s 10 member states makes it the world’s third-largest market. If the region were a single country, it would be the seventh-largest economy in the world. But what is the point of creating a regional bloc? Are countries really stronger when they’re together than when they’re apart? ASEAN’s growth and stability have made it a top destination for investors and multinational companies alike. 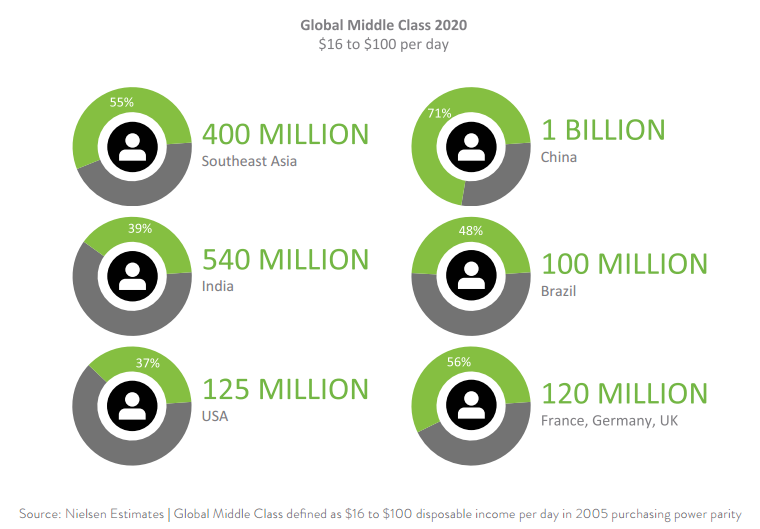 Its emerging middle class is also a draw: market research firm Nielsen forecasts that the number of people in the region’s middle-income bracket will reach 400 million by 2020. This is up from 190 million in 2012. By coming together, ASEAN’s 10 nations have deepened their political and economic alliances, improved cooperation and boosted economic growth and social progress. But while the creation of the ASEAN Economic Community has been on several counts a success, there’s still a lot to be done on the travel side when it comes to the secure and seamless movement of people. A move towards an ASEAN common visa for tourists and business travellers would require all 10 ASEAN states to implement joint policies and adopt common processes, as well as harmonize documents and data standards. To understand why regional visas such as Schengen and ASEAN are so important, we need to recognize the value of the tourism industry for nations around the world, as well as realize how people’s travel patterns have evolved. In ASEAN, the travel and tourism industry currently accounts for 12.3% of GDP. That’s nearly 10% of global GDP. The region’s objective is to raise the industry’s share of GDP to 15% by 2025. So how can ASEAN increase its number of international tourist arrivals beyond the current 105 million tourists it welcomed in 2014? One answer stands out: by making it easier. Travellers today want a seamless experience. Those travelling from afar may also want to visit more than one country in the region. The 10 ASEAN nations are so culturally diverse and have so many different experiences to offer, it’s a pity to hide them behind rigorous travel restrictions. Indeed, not many travellers today would be willing to queue at 10 different embassies to obtain 10 different visas. Processes such as these act as a deterrent to travel in the region. According to research by the World Tourism Organization and World Tourism and Travel Council, ASEAN could have between 6 and 10 million additional international tourist arrivals as a result of improved travel facilitation. These receipts could amount to as much as $12 billion and the number of jobs created could range between 333,000 and 654,000. The implications are clear: with one common visa ASEAN would be more connected and tourism would grow. This in turn would create jobs, enable growth and reduce poverty. “As ASEAN turns 50 it is an incredible opportunity for us to launch the whole idea that ASEAN is a single destination, not 10,” said Ramon Jimenez Jr, Philippines Tourism Secretary. Let’s work together to make this vision a reality.